While the popularity of Pinterest, the virtual pin board, has exploded, many small businesses still don’t take advantage of this free social media resource as a marketing tool. 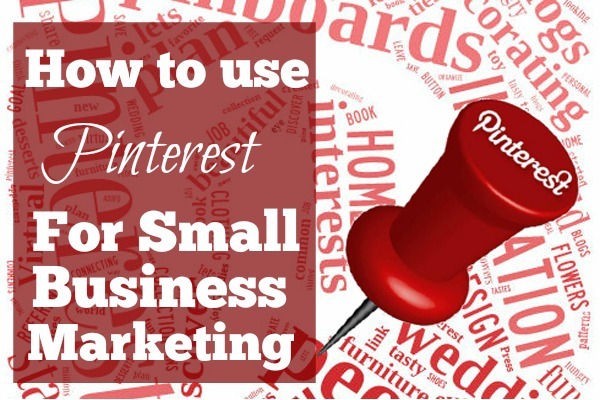 These tips and tricks will teach you how to use Pinterest for Small Business Marketing. Browse the most popular pins on Pinterest at any given time, and you’ll find lots of photos of dream weddings, dream interiors, dream vacations, and lots of recipes and crafts. What makes Pinterest so appealing as a marketing tool is that a lot of its users actually have the money to spend on the things on their dream boards. Where do all of these beautiful images come from? Blogs, internet retailers, and instructional websites mostly. Although it is possible to simply upload a nice photo to your Pinterest account, one of the most important facets of Pinterest is that every pin is meant to be a gateway to the originator’s website. Don’t have a website yet? We offer great tips on how to create a top quality lead generating website for under $100. So, if you’re a fashion retailer, you want to create pins from your web store, so that when people see that fabulous sweater in Pinterest, they can see the price right on the pin and can click and go right to the order page. And if they don’t buy it immediately, they’ve repinned it to their own fashion board, so they can easily find it again if they forget your company’s name. When Pinterest was new, you needed an invite to set up an account. Now all you need is an email and your basic business information, and you’ve got a fresh business account almost instantly. Unlike Facebook and Twitter, you can join as a business without a personal account, and you don’t need to do much as far as customizing your profile. That’s all there is to it. Now it’s time to start pinning. This is pretty much the Golden Rule of Business Social Media, but it applies nowhere as much a Pinterest: It’s Not All About You. In fact, it really can’t be all about you, because Pinterest boards aren’t meant to be filled with products and left to sit. 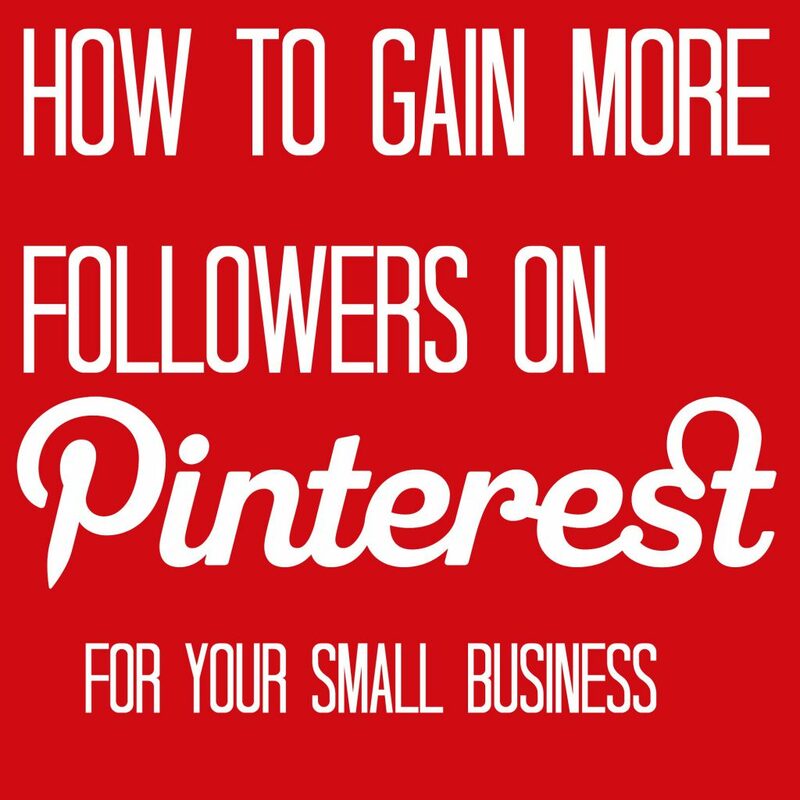 To get the attention of other pinners, you need to repin their pins, follow boards, and engage. Many pinners with a high follower count have 20 or more boards. That might sound excessive, but organization and categorization are vital on this platform. Pinners don’t simply follow other pinners, they follow specific boards that fit their interest. They can unfollow a board that doesn’t interest them while still following other specific boards of that pinner. The more focused boards you have, the more appealing they are to serious pinners. Start with about 5-10 boards. Name one with your business name, or even something like “My Designs.” The rest will be more general — food, places, fashion, etc., or you can keep with a theme. You can add your own pins in on your more generalized boards, but a designated board will help people find them all in one place (yes, you can pin on more than one board, but try and limit it to no more than two). Now go find pins to fill your boards. Nothing will turn potential followers away like empty boards, or a single board with nothing but items you’re promoting. This is the easy part: go to the Home feed, or browse the categories (these can be found in a dropdown on the right side of the Search bar), and pin whatever strikes you. Once you’ve imported your contacts from Facebook or Google Plus, start looking for pinners who pin a lot of items related to your business. So, if you sell unique bridal items, follow wedding boards.To get more help regarding referrals, be sure to read our article about 9 Ways to Boost Your Referral Traffic. Pinterest is a great place to start practicing this tip. The pinner might check out your boards, discover your items, and share them on her wedding board — which is followed by more people interested in bridal items. Caption your pins well, keeping search keywords in mind. “Rustic mason jar centerpieces #weddingideas” is good. “I love this!” is not. Categorize each board, so your pins show up when pinners browse by category. Comment on other people’s pins — but don’t ask them to check out your boards. Pin often. When people see your name a lot in a category that interests them, they’re likely to follow you. Your original pins should come from your website, and should be visually appealing. Taking a great photo is a topic in itself, but you will need great original photos. To make them stand out even more, add text to the picture using photo editing software like PicMoney or Canva. Don’t have pretty products? Create eye-catching informational graphics to pin instead. Don’t go crazy with photo editing — the main thing is that the pin is a good image. Adding text, including your website URL, will ensure that if the photo somehow winds up being shared without linking to your site people can still find it. 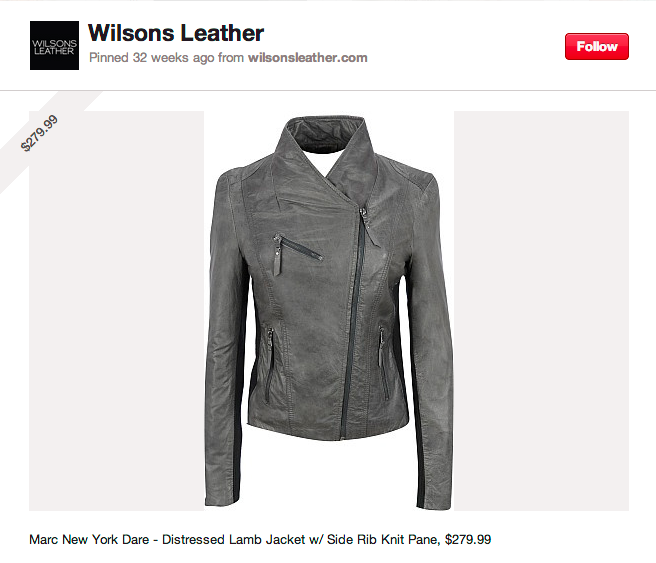 To add a price banner to your pin, just include the price in the Pinterest caption. To pin from your site, use the Google Pin It Extension, or even better, install a Pinterest Plugin so anyone can easily pin your photos from your site. Use the Pin It Extension to pin pictures from sites all over the web, but be mindful of the source. Always pin from the blog, site, or store where the photo originated so that the owner gets properly linked. 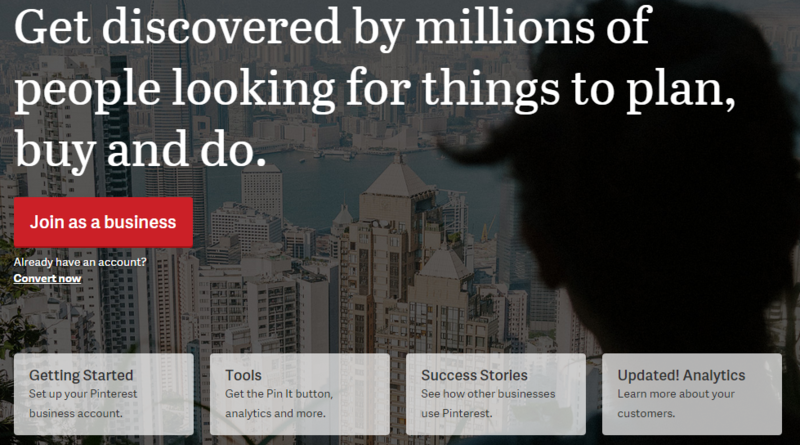 Add a link to your Pinterest (along with your Twitter and Facebook Page, if you have them) on your website’s home page. Create a custom Pinterest widget — click on the Settings icon on your profile page to access the widget generator. Occasionally share your pins on Facebook. 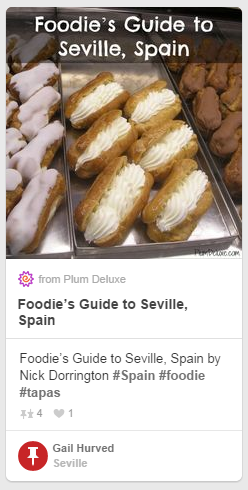 This can be done automatically by selecting the “Share on Facebook” feature when pinning to a board. When a business Pinterest is done well, it doesn’t scream “business.” With the right product, it can be a natural fit that draws people to your site, boosts sales, and increases your brand visibility.